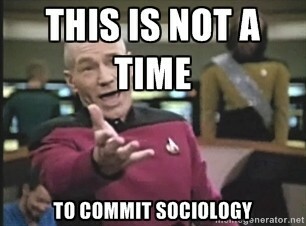 This is why I love sociology…. …This piece on income, college majors, gender, and higher education reform oriented toward more vocational careers. Not just for the content of it, but for the shear brilliance of the ‘not common sense’ that it reveals. If you look at major choice and subsequent income without accounting for things like gender (or social class, in some of my earlier posts), you end up getting it completely wrong. Recently contemplating a New Republic piece by William Deresiewicz, For a Good Education, Avoid the Ivy League. A colleague asked me, “What should we do about this?” The article certainly makes the case for the public liberal arts college. There is really nothing in this piece I didn’t already know, as someone who has studied elite education (what sociologist call social reproduction theory, the ways in which elite status is reproduced through education in exactly the way the article describes). However, my school probably attracts few of the kids the article is talking about. According to the data we collected on family income for a campus climate study in the fall of 2012, my school, the University of Mary Washington, a public liberal arts college in Virginia, has 26% below 60K, 27% between 60 and 100K in family income, 21% between 100 and 150K, and 26% above 150K (median household income in the U.S in 2012 is 53K). Bearing in mind these are slightly unreliable self-reports by college students, we still attract a fairly affluent study body, though not the echelon of elites that are discussed in the article. My guess is we primarily we attract the children of well off managers and professionals, but I think this is changing to encompass more students with less well-off backgrounds. For a few years now I have been thinking my school could be (or is) moving in one of two somewhat opposite directions. Once we decide which of these ways we are going, though, it’s pretty much a nuclear option. Hmm… this is so easy for academics to say. We know it’s true, and it actually IS true. Wealthy parents know it’s true, and urge their children to attend elite liberal arts colleges (or major in the liberal arts at HYP etc.) not because they really care about the liberal arts, or think that their children will really learn the liberal arts at those places, but because the liberal arts positions them well. They want the Ivy League credential and the connection that provides maintenance of elite privilege. The liberal arts elements are tangential, and probably just shore up what their children already have, with a strong elite cultural capital already in place. But what about everyone else? The problem dogging us all the time: How do you find students who can afford not to worry about return on investment? The rich parents want to continue to invest, so pay for the Ivy League although it doesn’t really enhance one’s intellect. They know that a liberal arts education is important. But those without money can’t afford not to invest as much as they can, to take the risk of a liberal arts education, though we know it will pay off. •	Students with some money, but who really want a good education and will commit themselves to public service of the type eschewed by the kids in this article – social work, teaching, academia, science, politics, religious work – in some ways, that’s our niche; we’ve filled it for a while and can continue to fill it and focus on its significance. •	Students with no money (and by no money, I mean middle class and below), but with potential, who are overlooked by others – white and non-white students from the working or middle class. They’ve also overlooked us, because they haven’t really thought about a public LA college, didn’t even know they wanted or it what it can bring them. They have to be taught that. Students who are willing to take risks – we take a risk on them. •	Continue to recruit international and out of state students, especially as they fit those other two profiles. If we want to put attention to liberal arts and service, we will need to beef up scholarships considerably, perhaps for students who pledge to do public service after graduation. Having more large scholarships brings in more than a handful of students, because even if they don’t get that one, they may still come here once they’re hooked. But there’s a second avenue. Option two involves really changing what we do, stuffing all the money we can into retaining and helping those students we are currently attracting. This can also be a honorable and valid option, especially to the extent we are not merely attracting the less well prepared younger brothers and sisters of the same social class of students we used to get, but over time actually switched to different student population – more of the non-elite, more first generation, more immigrant, non-traditional college student than we ever have. •	They have vague if indeed any ideas about the liberal arts, and may not have the liberal artsy public servants notion of our earlier students, and so will need to be taught why a liberal arts degree is important. •	Although UMW is relatively cheap, this group has less wealth, less to fall back on, and less economic security. This might more anxiety and fear Although they may have the money to pay for college lower retention. •	Though more focus on the vocational aspects of college, may not be reaching high enough in job choice. •	Psychological issues and lowered emotional well being rates manifest differently than for the elite, but are still there. •	Working and lower middle class students have less cultural capital; less likely to ask for help or use college services, or see that they are for them in the way that middle class people take for granted. So to that end, we focus on retention and career services because that is what these students will need. Educating about students in the liberal arts – a lot of these students did not choose UMW because it was a liberal arts college, but for a whole host of other reason. Show them how to value the liberal arts how to get jobs that use those skills. Certainly a large part of understanding student success depends on the data that one has available. In this case, I assume that the more data the better – ASQ or NSSE data that go back several years, various admission rates as well retention, graduation rates, the growth of transfer students, student GPAs and other measures of success, along with good quality outcomes assessment data from each university program, especially those related to mentoring or tutoring students from special populations. How many students are in these programs, and what happens to their grades, their feelings about the institution, and their retention rates after they participate? All that seems pretty straightforward. But part of the problem I think “we” in academia have is a trick of data presentation. We rarely slice and dice the data as finely as we should. Wanting to know “hard numbers” and how they change over time, we end up with simple crosstabulations — retention rates for various years, say — rather than thinking more carefully about what control variables might help to show the causality. We might get data parsed out by a third (demographic) variable, such as race or gender, but rarely parental income or other class proxies such as first generation or immigrant status. Even less likely are we to think about external economic conditions. One simple example may suffice: a few years ago in the enrollment management committee I sit on, we were shown six years of data on what are called completion rates: the percentage of students who complete a course with C or better (not passing rates, which are less severe – a D or better). After a quick perusal of the table, something interesting jumped out at me — the rates in the second three years were exactly twice as high as the first three years. Most changes don’t happen in such a stark way — they go up and down, or they change gradually over time. What would cause such a huge jump? The answer seemed obvious to me (when I showed the table to my sociology colleagues, they all saw it as well). But round the table we went, each with a different thought as to why. Finally, I said, notice when this happened (2007-2008). Might not the recession and downturn in the economic climate have something to do with this? It had to be some fairly singular event to create a change that quickly. Of course, I’d need more data to know for sure, but it seems as likely as any of the other reasons people gave. “A change in General Education or other curriculum issues?” Possibly, except changes in our General Education program took place AFTER this change. “Stricter grading policies? Changes in the professors or the classes?” Possibly. But the types of classes, although largely in the hard sciences, change a bit from year to year; sometimes they include courses in philosophy or a language. “The quality of students going down?” Sure, if you measure quality in terms of test scores, that is demonstrable. But the test scores don’t go down suddenly; they go down gradually, surely imperceptibly. To say that any professor can notice a difference in student quality from one year to the next is ridiculous. Nothing else changed (“college name change?” Nope, that was 2004), except the economy tanked. So how does the economy explain it? Well, students who need to stretch their incomes with a new job or an additional job to supplement help they might have gotten from their parents don’t do as well in those courses that are already difficult. The stress of wondering what’s going to happen to the economy, and whether one will have a job at graduation, probably didn’t help with course success either. Students’ anxiety and mental health issues increased during this time as well (and not just because we are a Prozac nation; much like the homeless women studied by Elliot Liebow, who became “crazier” at the end of the month when the money ran out, students’ mental health issues are surely also part situational). I talked to one colleague about this, who felt that the economic downturn and heightened labor market challenges would encourage students to work harder rather than give up. Possibly for some, yes. But maybe more students are now taking those premed or other difficult gateway courses who wouldn’t have taken them before, out of desperation perhaps, willing to take a gamble on a lucrative career they might not have taken before. Maybe that explains lower completion rates as well. At any rate, data on individual income levels or whether or not the student is employed seem quite relevant. Next up: But what if they don’t have the resources to work as hard as they can? So I’ve been thinking a lot about the idea of student engagement lately, only partially because my campus recently interviewed several candidates for a position on student success and engagement, with particular attention to the changing student body, transfer students, and retention. Every time I think about any of these issues, the underlying role that social class keeps rearing its ugly head; and it also seems to be exactly what we don’t want to talk about. The degree to which retention is a structural issue, and largely an economic structural issue, tends to get ignored by administrators, and indeed by most faculty. As my university dips down further into our waiting list, as it accepts more and more transfer students each year so that it can make its yield and raise the tuition it needs, we will hear more and more about how our acceptance rate is higher. How the students SAT scores and GPAs are lower than they were last year. How the students are less well prepared for college. How much more difficult are our jobs are when students can’t read or write or study the way we expect them to. I do not really know how much less ready they are, and how it will affect my teaching of them. What I am certain about is that these students, in general, will be poorer. They will be more likely to be first generation college students, and they will be less and less familiar with college life. They will also be less likely to ask for the services that they need, or even be aware that they exist, and that there are places they can go for counseling, for study skills, making the job of student engagement and student success that much more difficult. They will be more scared, and rightly so, about finding any jobs at all and being able to meet the standard of living their parents provided. They will experience a fear about finding work and being successful that most academics in their 40s-60s have never had to face. For someone who favors economic equality, there are some advantages in offering a liberal arts education to those who were not able to take advantage of it before, but ONLY if we offer them the additional help that they need to succeed, and ONLY if that help is self-conscious about the role that social class, through parental education and income, plays. Most professors have a difficult time dealing with social class – race, gender, religion, sexuality, sure, more and more (certainly not all) are comfortable thinking about how these issues shape their students’ lives inside and outside the what happens in the classroom. But parental income? Untouchable. Campus groups, also. No working class students association. No events scheduled around what it’s like to be disadvantaged by social class. Of course, the students themselves would rather blend in, fit in, since college is going to take them (supposedly) into the middle class. The Powerpoint slides for my Latino Identities Month presentation, tonight at 5:30 in Lee 411. The course already had a text assigned. I don’t recall which one, but it was a standard introductory sociology text book such as Henslin or Schaeffer produce. It came with redi-made transparency slides, and a test bank. If we had used Power Point at the time, I probably would have had those redi-made lectures as well. Every week (it was a night course), I read through three or four introductory textbooks, and cribbed lecture notes using the elements of each book that weren’t as thoroughly covered in the book I was using, so as not to repeat what students had read. I was terrified, so I made lots of (in retrospect) terribly uninteresting points, and then I proceeded to read them, night after night, for fifteen week. There was almost no discussion. Students didn’t ask many questions (there were about fifty students in the class; many of my students were older than I was, some were working class, many were returning college students). For exams, I used the test bank to randomly generate three 100-item multiple choice questions, used a scantron, and then had them machine graded. That was it. The thing was, I got pretty good evaluations. People listened, and wrote down what I said. I learned a few more things about sociology once I got to grad school, and many more things about pedagogy, so I realize now how horrible that experience must have been for students (and think I’ve improved as an instructor since then). Students, including those at the school where I teach, have more empowered to critique their education than they used to be. And that’s a good thing. I realize there are a lot of differences between what I did, and what MOOCs, or even regular on-line courses, are trying to do. I realize that MOOCs are purportedly taught by dynamic teachers – the “best” lecturers at their schools – and are at least far more entertaining than I was. But what that early experience taught me is that students, especially those at large state schools, and especially those with very little clout or experience voicing their concerns, will put up with a lot of crap without complaining about the quality, content, or methodology of their learning experiences. Launching the blog today: a blog to talk about teaching, research, community, and other ways to practice sociology intentionally.